Set in the vast windswept expanse of the Gobi Desert, the Chinese city of Dunhuang is modestly sized but boasts huge historical importance. A major commercial hub along the ancient Silk Road that linked China with Europe, the city saw traders, travellers and strings of caravans stop over to refuel after passing through a particularly arduous stretch of sand. 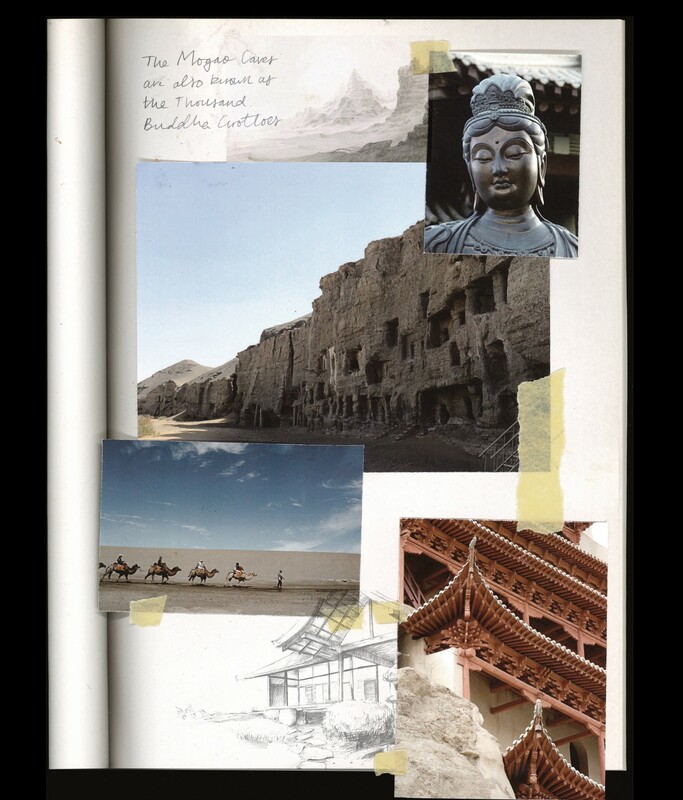 With silk heading west and wool, silver and gold heading east along this 4,000-mile trading route, Dunhuang became a centre for cultural and intellectual exchange, as wandering monks brought Buddhism from India to new territories. It was these Buddhist monks who carved an extensive series of caves into the sandstone cliffs in the fourth century. A day’s walk from Dunhuang, the Mogao Caves, awarded Unesco World Heritage status in 1987, are recognised as one of the world’s most important sites for Buddhist art, there are 492 caves as well as temples and angular stupas – which mark the tombs of monks – scattered across the desert landscape. The sprawling series of decorated caves house artwork spanning many artistic mediums, including apsarasas (flying celestial beings) on the walls, sculptures of fierce temple guardians and bodhisattvas, as well as geometric panels, textiles, wood carvings and 45,000 square metres of murals. A major rediscovery of manuscripts and artefacts in 1900 have added further to its historical importance and – despite their remote location – the caves attract up to 6,000 tourists each day. To help protect, manage and understand the caves, the Dunhuang Research Academy (DRA) was set up in 1943 to oversee a generation-spanning range of projects that include measuring and documenting the murals, conserving the caves and sharing these findings with the world. 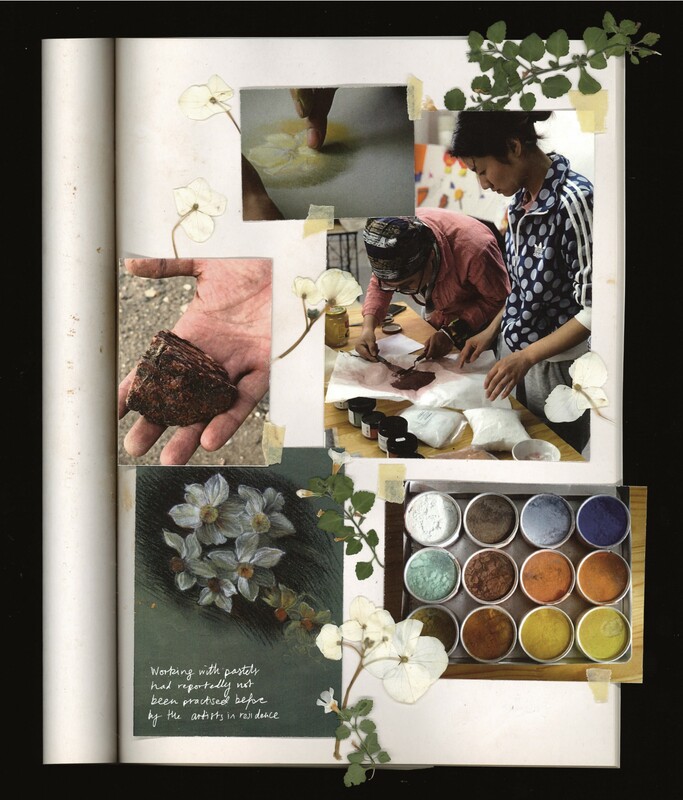 Building on a collaboration with the DRA that began in 2015, the Prince’s Foundation School of Traditional Arts (PFSTA) set up an exchange programme last year, sending five artists (all School PhD alumni) to Dunhuang to share their expertise in the use of pigments with the research team. 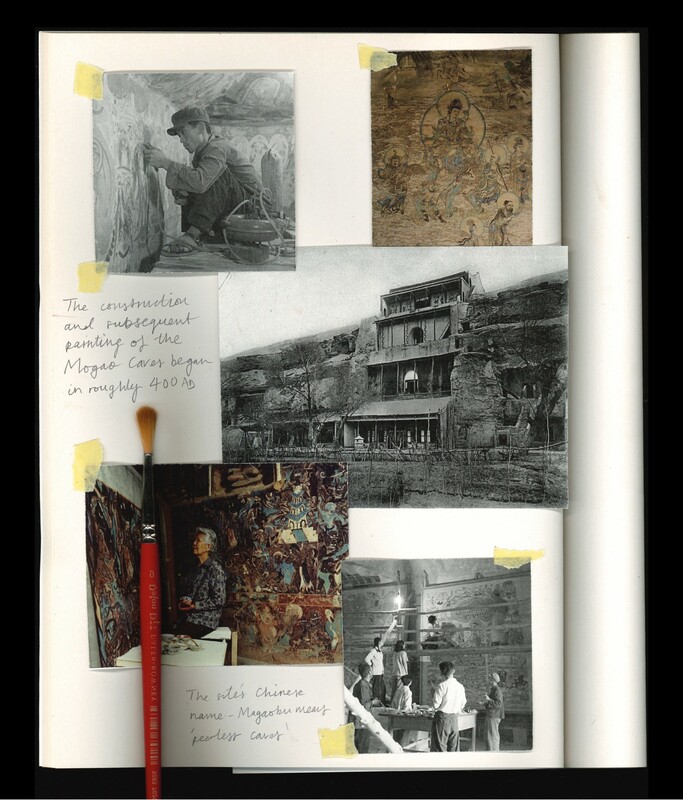 Through workshops, talks, studio demonstrations and visits to the caves, the artists would collaborate with a group of researchers in Dunhuang – who are also practising artists – to restore and replicate the murals. The resulting sharing of knowledge was intended to assist and inspire this DRA team in its future work, both in the caves and in their independent projects. With this assembly of artistic talent from the Prince’s Foundation School of Traditional Arts helping to foster a reciprocation of skills and knowledge between the east and west, the beauty of the Mogao Caves appears in good shape to inspire future generations of artists, too.